The Economic and Financial Crimes Commission (EFCC) says the commission will comply with the court order to produce former Petroleum Resources Minister, Mrs Deziani Allison-Madueke for alleged fraud. Mr Ibrahim Magu, the EFCC Acting Chairman, made this known in an interactive session with Newsmen in Abuja on Wednesday. The News Agency of Nigeria (NAN) recalls that Justice Valentine Ashi of a Federal Capital Territory High Court (FCT), sitting in Apo, Abuja, on Tuesday, ordered EFCC to apprehend and arrest Alison-Madueke within 72 hours. Others to also arrest the former minister are the Nigerian Police Force, the Department of States Security Service (DSS) and all other security agencies. Magu said: “I need less than 72 hours; we are going to comply with the court order. “It is in our character to comply with court orders. There is no time ever that we refuse to comply with court order. “If we don’t comply with court orders, it means we have reasons to appeal against the court’s decision. “I need less than 72 hours to produce Deziani. How can I get her if she is being protected by forces outside this country? “This is my predicament otherwise if it is 72 hours, if she is here, I will just get her,” he said. On the challenges hindering the commission from extraditing Allison-Maduekwe for over three years, the chairman said that other law enforcement agencies outside the country were on the matter. “She is in the UK and we are making preparations for the process of getting her. “We have already gone to court. That was our request for establishing that and compelling the court to declare that we issue a warrant of arrest against her. “If she is here in Nigeria, I will get her immediately and take her before the court. Our problem is that she is in that country,” Magu said. NAN reports that the order was made following a motion ex-parte made before the court by counsel to EFCC, Msuur Denga. “Denga had prayed for an order of the court to issue a warrant of arrest against Allison-Madueke to enable the commission apprehend and arraign her for alleged financial crimes in Nigeria. “The EFCC investigated the former minister along with Jide Omokore, a former Chairman, Atlantic Energy Drilling Company, following a petition dated October 2, 2013, from Coalition Against Corrupt Leaders “(CACOL), bordering on money laundering and official corruption. 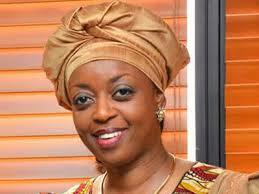 “Investigations into the petition revealed that Madueke as supervising minister of the Nigerian National Petroleum Corporation was found to have engaged in illicit and monumental fraudulent dealings in oil transactions, which she entered into on behalf of the Federal Government. “Madueke and Omokore are also alleged to have accepted and given gifts in properties located at Penthouse 22, Block B, Admiralty Estate, Ikoyi, and Penthouse 21, Building 5, Block C, Banana Island, Lagos. “They are to be arraigned on Feb. 25, 2019 on a five-count charge for the offences, which are contrary to Sections 26(1) of the Corrupt Practices and Other Related Offences Act, 2000.